Melt chocolate in a microwave safe bowl at 30 second intervals, stirring after each, until smooth. 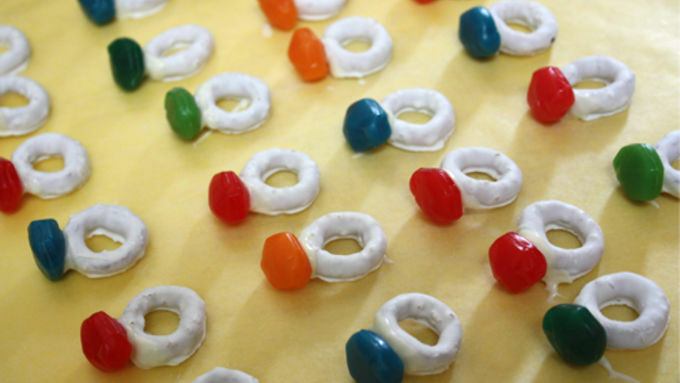 Dip one side of a Gushers™ Fruit Snack into melted chocolate, attach to pretzel and lay on wax paper. Let set completely, about 5 minutes. Everyone says that diamonds are a girl’s best friend. 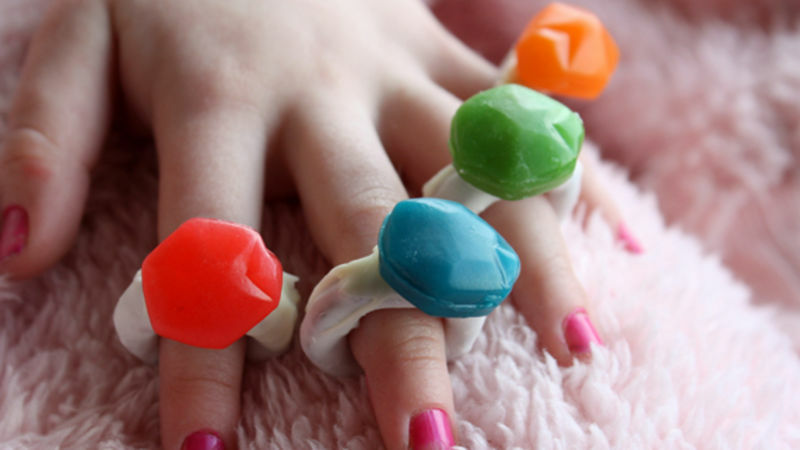 But for little girls, I’m convinced that it’s these cute Gushers Ring Bling "jewels" instead! My girls and I whipped these up one afternoon and had such a great time. They danced and pranced all over the house with rings on every finger! 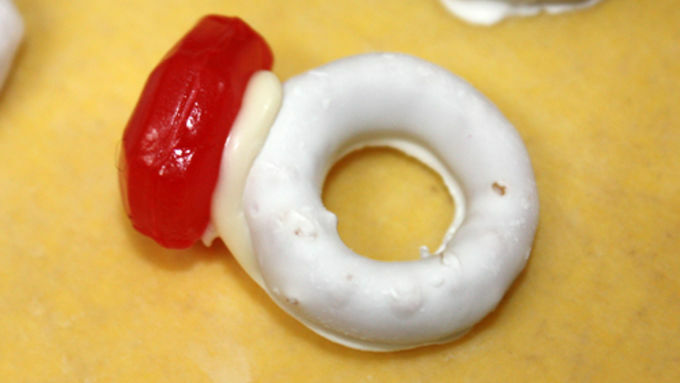 These Bling Rings are extremely simple snacks to make -- all you need are Gushers Fruit Snacks, yogurt covered circle pretzels and white chocolate. Since they’re so simple to put together, it would be a great edible craft project for a party or playdate! Tip: If you have trouble finding the pretzels, check the snack aisle. They sell them in 100 calorie packs. You can keep them in a sealed container for up to a week. My daughter couldn’t get enough of these and made them all afternoon!